No, she is not related to Jim Lyon. 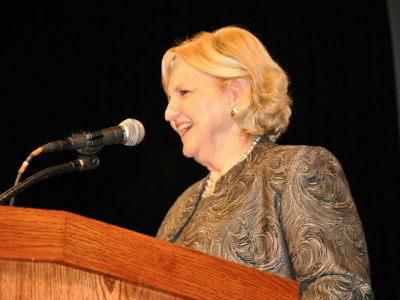 But, like the general director of Church of God Ministries, her influence stretches across the globe. 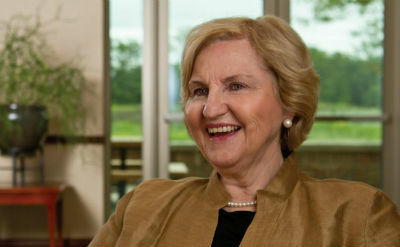 Jo Anne Lyon, ambassador of the Wesleyan Church and former superintendent, has established herself more so a bold ambassador for Jesus Christ, both across the denominational spectrum and society. As one of the featured speakers scheduled for each of the five Regional Conventions of the Church of God this year, she is looking forward to spending extended time with a family of believers with whom she already feels close. Many may not know that Jo Anne Lyon was influenced herself by the Church of God as a young girl. Jo Anne remembers hearing that the only major difference between the Wesleyan Church and the Church of God was their stance on membership. “I remember thinking, ‘That’s no big deal,’” Jo Anne explains. As time passed, she became more appreciative of the witness and impact of the Church of God on Christianity and the world. One example of this was the multi-ethnic composition of the Church of God. Amid great racial division in the United States during the 1960s and 1970s, Jo Anne specifically remembers being proud (in a holiness sort of way, of course!) of her association with the Church of God. When other denominations were struggling with diversity, she saw the Church of God making great strides to practice the unity that was preached. 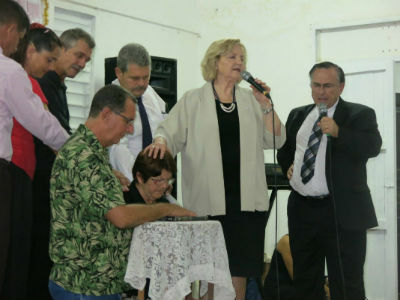 Jo Anne Lyon on a visit to Cuba. For more information about the five Regional Conventions and to register, visit www.chogconvention.org. This entry was posted in All Church of God, Church of God Convention and tagged camp meeting, Campmeeting, CHOG Convention, Church of God Regional Convention, Columbus, conference, Fairfax, Jo Anne Lyon, Oklahoma City, Phoenix, Regional Conventions 2018, Safety Harbor, speaker feature, speaker profile, the Wesleyan Church. Bookmark the permalink.